Actual ecological knowledge on ecosystems are scarce, particularly for northern ecosystems, and this lack of knowledge limits the anticipation of global change consequences. It is to remedy this alarming problem that the Québec Ecosystem Observatory is being set up. In concrete terms, this observatory will enhance the ecological data already available, building on already existing initiatives such as Canadensys, and harmonize the collecting of those to come. 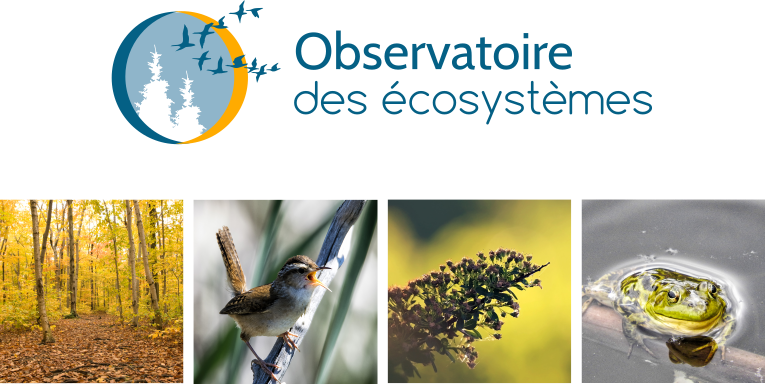 The Observatory intends to set up an open informatics structure composed of an integrated suite of tools for the synthesis and communication of the state of our ecosystems in Québec. This suite will allow, for example, a compilation of real-time data for the automated production of a biodiversity atlas of Québec or the automation of environmental impact assessment pre-projects. The Observatory is also mandated to contribute to the formation and developments of new expertise in biodiversity science. Québec Ecosystem Observatory currently federates actors of various circles (academic, governmental, industrial, non-governmental) and can count on the implication of 4 FRQNT strategic clusters (CSBQ, CEN, Québec-Ocean, GRIL) to achieve its goals.